Royal Majestic Sound Presents : On The Frontlines 1-30-13 FREE Stream & Download!!! 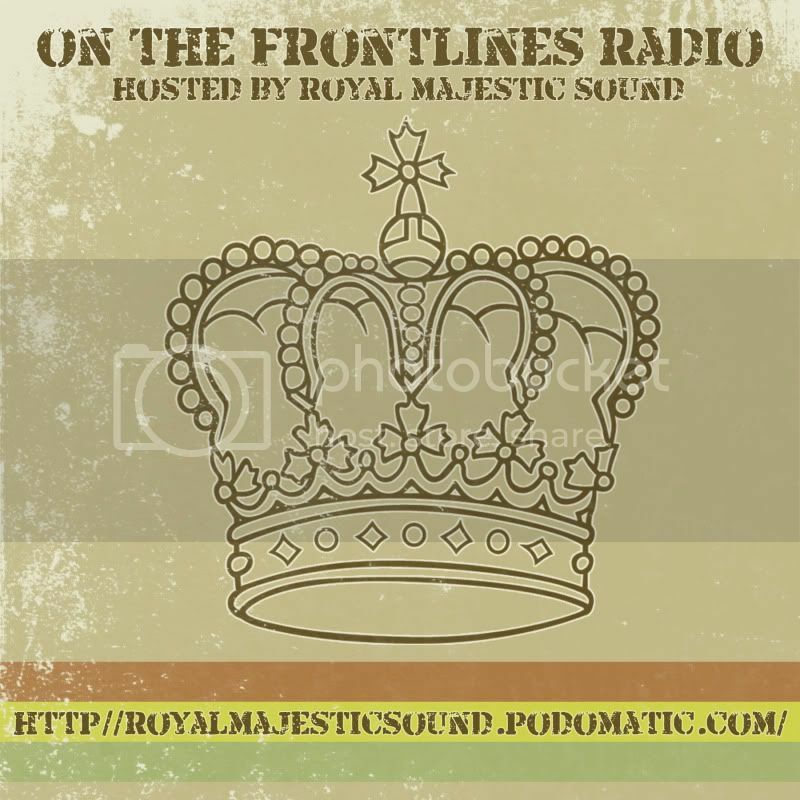 Re: Royal Majestic Sound Presents : On The Frontlines 1-30-13 FREE Stream & Download!!! Many thanks for the works.....Looking forward to drowning out the marriachi music with this on the jobsite today. I like seeing the stop that sound riddim at the end, Lutan Fyah and Spectacular on that riddim is well nice. and to add to that... yes.. RMS for sure has been a blessing in organizing the music, and presenting it in a well thought out manner.. many RMS mixes have helped put a positive spin on my day..
so big up RMS and all sounds which push upliftment... betterment..
@east bay herbalist : give thanks for the support and sharing the story. truly humbled. a real joy to hear. @bigvein : give thanks for the support sameway. glad to know our mission of positive upliftment is being fulfilled. For those yet to check this episode of OTF please take a minute to do so... conscious roots & kulture on the rise again. Respect to all the artist + musicians + producers for the energy. Edited 1 time(s). Last edit at 02/01/2013 08:51PM by ROYAL MAJESTIC SOUND.